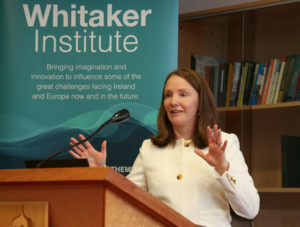 The Whitaker Institute held its fourth annual Whitaker Research Day on 10 April. More than 70 staff and students registered for the event which took place in the Hardiman Research Building at NUI Galway. The theme of the day was Brexit where three panels discussed different affects Brexit could have on Ireland. 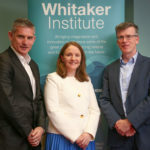 The first panel highlighted research on Brexit currently being undertaken by Whitaker members. 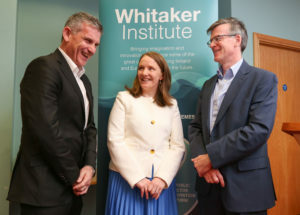 Topics that were covered included migration, political dynamics of post-Brexit Ireland, security and defence implications for the EU, and electronic borders. The second panel explored the ramifications of Brexit for the legal orders of Ireland, UK, the EU and the Good Friday Agreement. The last panel of the day discussed Brexit and its implications for Irish businesses, society, and public affairs. A highlight of the day was the plenary session by Professor Martina Lawless, Associate Research Professor at the ESRI. Professor Lawless highlighted how Irish households and business are heavily reliant on trade with the UK and outlined the effects of Brexit on such trade. Her slides are available to view here.